A full 365 days ago, the troubling 2011-12 season came to an end for the Texas Stars. They missed the playoffs for the first time in their history. They didn't really have a team direction. Their systems were all over the place. The coaching staff was let go. Fast forward to today and Texas Stars head coach Willie Desjardins has just been named the Louis A.R. Pieri Award winner for 2012-13; he's the AHL's coach of the year. For league observers, it really isn't surprising. The most obvious part of the puzzle is that Texas went from worst to first in the West. Next, take a look at this roster. The Stars had an abundance of rookies and a massive amount of roster flux between the end of the lockout and the trade deadline. Somehow, they are still having success. The Daily Report shows you more. When Texas leads after two, they flat lock it down. They have a 30-2-0-1 record in that situation and those two regulation losses didn't come until two weekends ago, the first two games with all the new players from the trade deadline. The Stars got back on track after that with seven of eight possible points in their next four games. 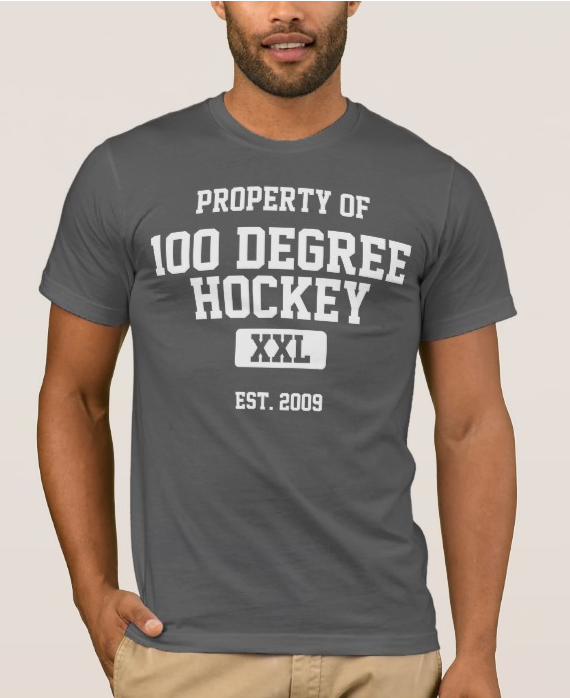 Finally, you can see it on the ice and in postgame interviews. This club has bought in 100% to Desjardins' methodology. Last year, no one was ever on the same page about the systems that they were playing. This year, there has been no doubt. There was a little bit of friction at the beginning of the season as they learned and grew, but once they all got on the same page, it was obvious. Texas rocketed from a bumpy .500 start to 16-11-3-2 at the New Year. Even after roster turnover due to the NHL lockout, Desjardins' club won 10 of 12 in January and collected a point in one of those losses. Texas surged to first place and hasn't relinquished it since. New players coming in see that the system works and buy in immediately. How else would you be able to overcome the big changes that Texas endured two weeks ago? Desjardins took it in stride, commenting that it would be easy to blame the two losses on that. He refused to take that easy route. This is a scary club for opponents to play. They have been circled on everyone's calendar as a 'big' game since December, for sure. And still, they have a better than .500 record when allowing the first goal. They barely ever give up the lead when they do get it. They can play defense when it's called for, winning 1-0 or 2-1. They can beat you with goals, too, winning 7-6 or 8-2. 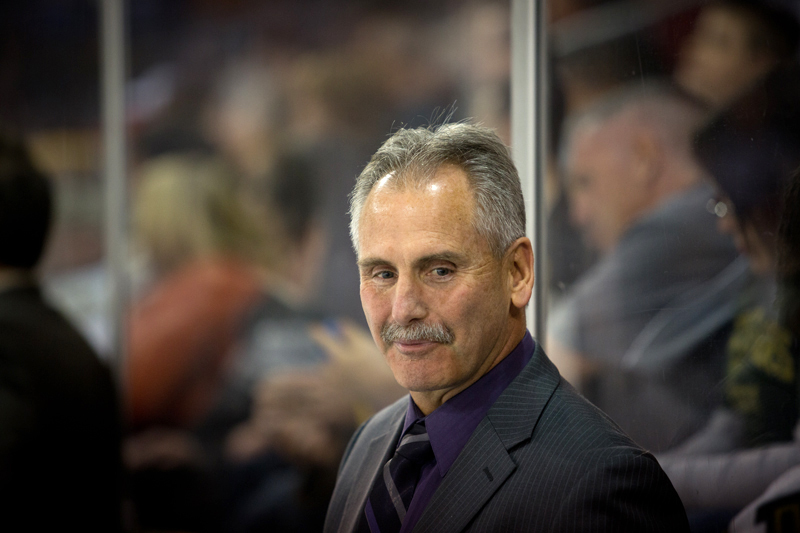 Whatever is called for, Coach Desjardins has been able to bring it out in his club. For that, he is the AHL's Coach of the Year. It is a well-deserved honor. Coach Willie gave a short presentation at a meeting of the Ice Hockey Association of Austin on the afternoon before the Grand Rapids game. He shared with us some of the presentation given the players when they report to the team. It included several "who we are" types of lists, for the Texas Stars, for the individual players, and the coaches. I don't recall all of it, but I remember the team goal (always) is "win the Calder Cup". And that they want to work hard both on and off the ice to be the team that beats you in the third period by wearing you down. It was all very impressive. Congratulations, Coach Willie!